How to select a CFD broker? This guide will teach you to select the best one! 3 What makes a good CFD broker? CFDs are a great alternative for accessing other markets like futures, stocks, indices and even Forex. Normally, these markets require a much larger capital in order to trade. Stocks, for example, require that you put down 50% worth of the trade before the order is filled. On the other hand, CFDs only track the difference in the value of the asset, hence the name contract for difference (CFD). As a result, they don’t require as much of the deposit for the trade as the asset itself, and usually just a 5% deposit will do. Imagine, for example, you wanted to buy Google shares, which are currently priced at $840, and you wanted 1,000 shares. This trade would cost you $840,000, and you would need to put down a 50% deposit with your broker, $420,000. With a CFD, however, your broker might only request 5%, which would be $42,000. Your broker might even offer you leverage on the trade, which would mean that you would only need a much smaller amount of money, yet the profits would still be lucrative. When trading CFDs, you’re essentially making a contract with your broker on the difference between the price of the underlying asset. It is unlike the Forex market because you’re not actually buying the asset, but rather betting against your broker. The broker then becomes the market maker. As such, your choice of a CFD broker should be even more considered than that of a Forex broker because of the potential conflict of interest. Thus, the role of the CFD broker is merely to provide the market prices of the underlying asset to you through their trading platform. On your trading platform, your broker should provide the exact price of the asset in the actual markets. When you find an asset you like to trade, and you place the order, your broker will set it up as a contract between you and them. When the trade goes the way you predicted, the difference in prices will be calculated and the returns credited to your account. Of course, the broker will have to deduct various charges on the trade, which may be in the form of a spread or commission. The advantages of CFDs are plenty, and they have got many investors interested. To provide these services, several dedicated CFD brokers are now active, while Forex brokers are also including the CFD trading service into their portfolio. Regardless of which type of broker you choose to go for, there are several things to consider that makes their services different. Just like Forex brokers, the CFD brokers will also impose a spread on the market prices such that the price at which your order is filled will be slightly different from the actual market price. For example, if you were trying to sell a stock with a bid price of $25, your order might be filled at a bid price of $25.25. This difference of $0.25 would be the spread and it goes directly to the broker. 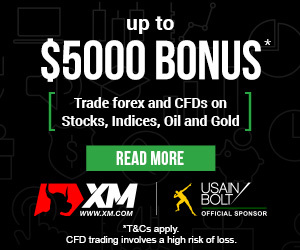 Also similar to Forex brokers, different CFD brokers will offer CFDs at different spreads. However, spreads for CFDs are usually high and may not be explicitly stated, so you will need to determine just how much of a spread your CFD broker applies for every asset. Besides spreads, some brokers will charge a commission for the CFD, which will be a percentage of the profits gained from the trade. Commissions are usually ideal and even preferable when trading CFDs because you know exactly how much of your profits will be deducted. When using spreads, they will differ significantly from one asset to the other, and it might be very difficult to know exactly how much it will be. In addition, you will also be charged with holding charges for keeping trades open overnight. Usually, the overnight holding charge will be incurred when the New York session ends, around 4pm Eastern Time, but this may be different depending on your broker. The amount of funding charges will differ depending on the overnight interest rate often quoted as the London Inter-Bank Offered Rate (LIBOR) rate. Although usually quoted as LIBOR, the interest rate will depend on your account currency. Therefore, if your account is in US dollars, then the interest rate will be the US LIBOR rate and so on. When you hold a long position, this LIBOR rate will be debited from your account, and will thus reduce your profit. For short positions, the LIBOR rate will be credited to your account, provided the rate is above 2.5%. This is a crucial factor to consider when choosing a CFD broker because these holding charges can add up over time and take away from your profit. Remember that the holding charge is calculated on the total value of the trade and not just the margin you have put up. Plus, the rate will still hold even on weekends when the markets are closed. CFDs can be applied to any financial instrument since it is just a contract on the price movement. Nevertheless, only the best CFD brokers will have a wider variety of tradable instruments from which to create the CFDs. For example, to offer CFDs on US stocks, the broker has to be connected to the US exchange where that stock is listed in order to provide actual market prices on their trading platform. The top CFD brokers will usually be connected to various exchanges around the world so that they can provide most tradable instruments. When searching for the best CFD broker, make sure you know which CFDs they have available. 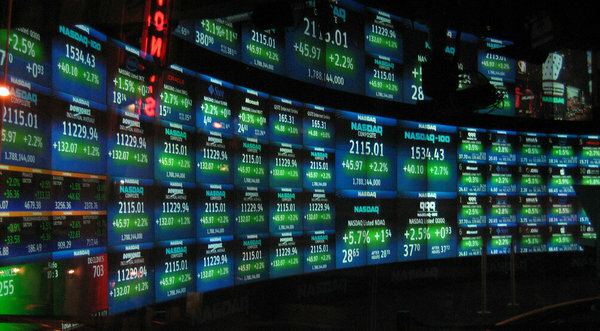 What you should be looking for is a number of US and UK stocks, indices, commodities and futures. With such a wide variety to choose from, you will be better placed to be able to hedge against several markets and reduce your losses. The amount of leverage offered on CFDs will often be lower than that of the Forex market because the broker would like to reduce their downside. The amount of leverage will rarely go beyond 200:1, if you’re lucky. With leverage, you should be careful not to rush toward the highest ratio because the potential risks in CFDs are much higher given the amount of margin required for every trade. Even though CFDs require much less capital than the actual underlying assets, they still require a significantly higher amount of capital compared to, say, Forex. Still, a top CFD broker should try to accommodate a reasonably low amount of capital while still providing quality service. This way, anyone can be able to trade CFDs if they don’t have enough capital for the underlying asset. To make it work, leverage will be used, and as mentioned before, it can go up to 200:1. With such a high leverage, many individual traders can afford to trade CFDs, and this puts the broker at the top CFD brokers list. We understand that there’s no way to avoid the charges that go with trading CFDs, but a good broker should be open about their charges. When it comes to CFDs, some brokers may not mention all the charges involved for fear of scaring off clients. In so doing, they end up charging more than what the client expected, and this leads to resentment hence the numerous negative CFD brokers reviews. It’s much better if the broker is honest about their charges ahead of time, even if they may be high. Still, it would be best to identify that broker with reasonable charges that cover the broker’s costs while being fair to the client. There are several such brokers out there, and you can find them if you just look hard enough. As for you, the trader, you should always check the fine print carefully before engaging in a market you’re not fully knowledgeable about. Confirm whether you’re okay with the spreads or commissions charged ahead of time. Most traders prefer to trade what they know, which is usually the common stuff like indices and commodities like oil and gold. The brokers recognize this, and they will always provide CFDs for these common assets. The truly best CFDs brokers, however, will have a much wider variety of CFDs to choose from – even on assets that may not be privy to most of their clients. This is what makes the top CFDs brokers, because you never know when you find a remarkable opportunity in something you’ve never tried before. Besides, by offering you too many options, it offers you the chance to explore more markets and learn even more besides what you already knew.